After seeing Small Small Baker's homegrown bitter gourd (photo here), I also ask mum to give me some bitter gourd seeds when she bought one for making soup. I planted the seeds and after a week it grow into seedlings which hopefully they will grow well and starts to flower and fruit. Whenever mum is not cooking or while we are out during the weekend, Chicken Rice is always in my ordering list together with an additional hard-boiled egg. I prefer Hainaese Chicken Rice which comes with fragrant rice and tender poached white chicken. But sometime I also order roast chicken rice like what shown above. Previously I used to like "Red Angry Birds" when I first started to play the Angry Birds iPhone game. But after a few months, I started to like "green pigs" more especially the one with a yellow crown known as "King Pig". I have a collection of almost all the angry birds characters but my favourite is still green pig related items. Not long ago Swensen has come out with their Breakfast Set Menu with many items such as Egg Benedict, Breakfast Sandwich, French Toast and etc. 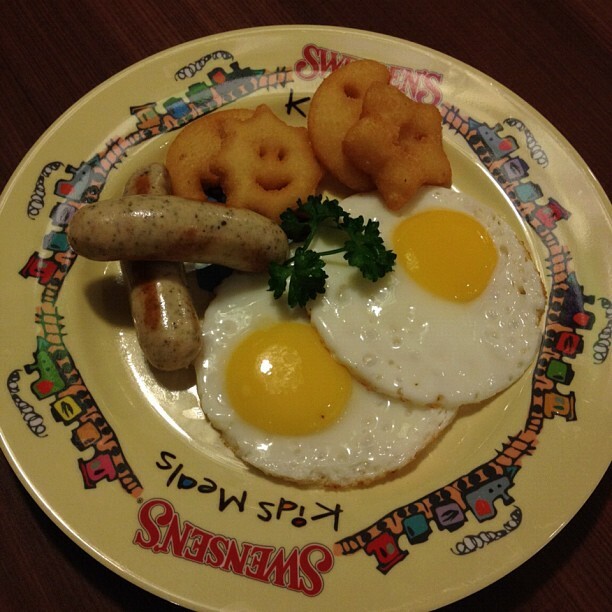 Above is in their kid's menu known as Eggy Delight ($6.90) and I love the combination of items in it. This is Boo Boo, my grandmother's pet dog which is a beagle breed. 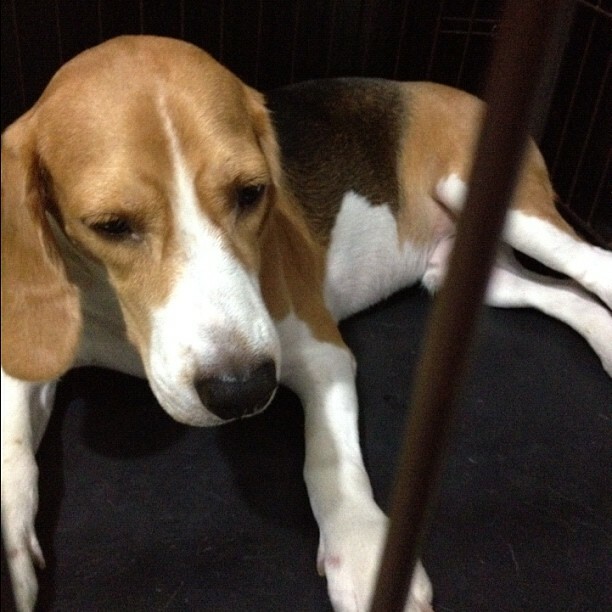 He is about 2 years old but still behave like a baby (puppy). He loves to play and often chase his toy around the house, climb up the soft and take his nap there. This is my pet hamster known as "Chocolate", he likes to bully his friend "Oreo" which is slightly smaller size than him. During the day, they will sleep quietly at one corner of the cage but when evening comes, they became very active and likes to run around making noise to attract our attentions.